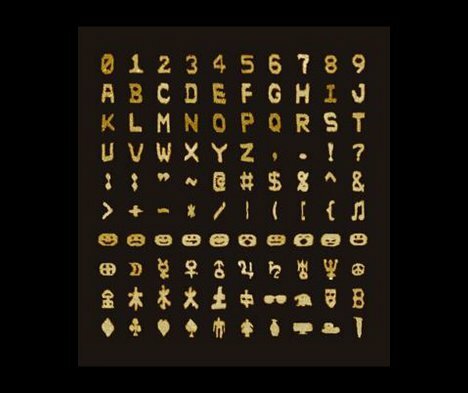 Artists have made impressive works of art with some pretty bizarre materials, but this set of minuscule characters blows them all away. The 107 letters, numbers and pictures – including some pretty silly smileys – were created by researchers at Harvard University from the building blocks of life: DNA. Each finished character is just 64 nanometers by 103 nanometers. The researchers created these impressive little characters by effectively “unzipping” the familiar double helix shape of DNA. This turned them into a sort of ultra-tiny building block that was then used to arrange strands of DNA into specific shapes. The result is fun and kind of silly, but there is a very serious side to this project. It could be used to create molecular-scale medications and other devices that could dramatically enhance science and medicine. See more in Earth & Nature or under Science. June, 2012.